Saturday Night Live NBCâ€™s Emmy Award-winning late-night comedy show, is currently in its 35th season for another year of laughs, surprises and great performances. Since 1975, SNL has launched the careers of many of the brightest comedy performers of a generation and as â€œThe New York Timesâ€ noted on the occasion of the showâ€™s Emmy winning 25th Anniversary special in 1999: â€œIn defiance of both time and show business convention, â€œSNLâ€ is still the most pervasive influence on the art of comedy in contemporary culture.â€ At the close of the century, â€œSaturday Night Liveâ€ placed seventh on Entertainment Weeklyâ€™s list of the Top 100 Entertainers of the past fifty years. 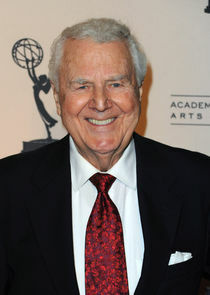 Thus far, the program has won over 20 Emmy Awards and been nominated for more than 80. â€œSNLâ€ has been honored with the prestigious George Foster Peabody Award and cited as â€œtruly a national institution.â€ Most recently, â€œSaturday Night Liveâ€ was inducted into the Broadcasting Hall of Fame by the National Association of Broadcasters. The show continues to garner the highest ratings of any late-night television program, entertaining millions each week. Saturday Night Live is broadcast live from NBCâ€™s famed Studio 8H in New York Cityâ€™s Rockefeller Center. The program is a production of Broadway Video in association with SNL Studios. Lorne Michaels is the executive producer.